May Day is a fun tradition but maybe you have never celebrated it? That is ok. You can start now and I have an idea for you. It is a day to GIVE gifts to friends, family and neighbors. 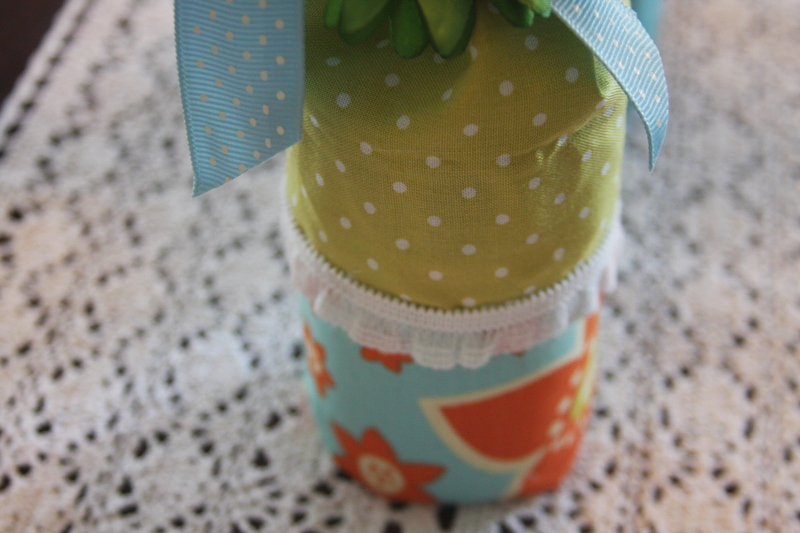 Of course this DIY is inexpensive and you can make it as cute as you want it. You will need fabric, ribbon, hot glue and a soup can. Or any can you want to use. First, decide what fabric you want on the bottom and glue it on. I left a little of the top uncovered for the top fabric. Where the fabric meets each other will be covered in ribbon. The top fabric should have about 6 inches over the top. You are going gather it together. But first, add a treat, gift or a message. Now, gather the material and tie with a ribbon. On May 1st, make someone smile with a treat! Best part it doesn’t have to cost a ton to make someone happy!